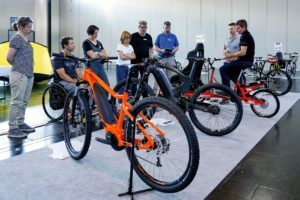 BERLIN, Germany – On May 12 and 13, 2014, the two-day Vivavelo Congress of the German bicycle sector was held in Berlin for the third time. The dialog between industry, trade, politicians and media was closed with a signing of a collaboration agreement yesterday confirming the transportation policy of the German Bicycle Club (ADFC). 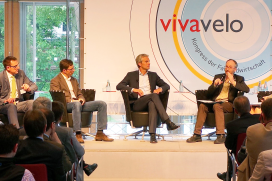 The bi-annual Vivavelo congress organized by the German Bicycle Dealer Association VSF provides a platform to intensify the dialog between the bicycle industry and related economic sectors, politicians, and the media. 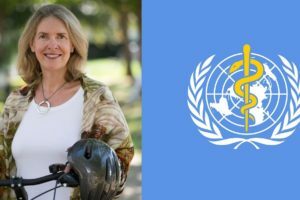 This year’s program which included 28 lectures and workshops as well as two panel discussions, was to document the significance of the bicycle today, find ways to get more people on bikes and improve the conditions of cycling on a political level as well. “We need more bicycle-friendly environments and a better cycling infrastructure in Germany,” said Vivavelo initiator and VSF Chairman Albert Herresthal. The 2013 agenda of the German Bicycle Club ADFC shows hands-on measures how Germany can become a better cycling nation. At the end of Vivavelo congress over 300 participants voted unanimous for the ADFC program and its rapid implementation. “In the past decades, we have allowed car traffic to take too much of our quality of life in cities,” said Burkhard Stork, Chief Executive Officer of ADFC. “Now people want their cities back. We need to provide more room for cycling and reduce the speed on the roads,” Stork summarized. At the opening of Vivavelo, State Secretary Rainer Bomba announced: “We want more bicycle traffic in urban and rural areas. This is our common goal.” He pointed out that this motto of Vivavelo is also reflected in the National Bicycle Transportation Program of the German Government. 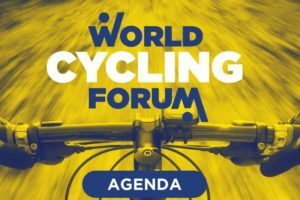 Bomba encouraged the representatives of the bicycle business to continue promoting cycling as a “modern and environmentally friendly means of mobility”. The tenor of the congress was that cycling is a ‘must’ if we want to ensure individual mobility in combination with a quality of living in the cities of the 21st century. As Burkhard Stork of ADFC pointed out, 75% of the world population will live in gigantic cities by 2050. “Car traffic as we know it today will not be possible in such cities any more. In Mexico City, already today, the average speed in traffic is 12.5 km/h. Here, the car has completely lost its significance as a suitable means of transportation. In Copenhagen 95% of the population uses bicycles for their daily commute – ‘because it makes most sense,'” quoted Storck. In the view of ADFC, the key question of this century is: How do we get as many people (not cars!) as possible on the roads. Part of the answer is: by bike. 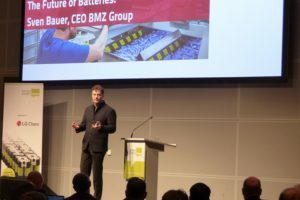 Matthias Lossau of the Institute for Transportation Design at the University of Braunschweig sees a huge chance and a task for the bicycle trade in turning bicycle shops into mobility hubs and create a service network for urban mobility. At the same time these mobility hubs should function as consultants with hands-on experience for local infrastructure. As far as product development, testing and safety is concerned, the industry spoke in favour of longer product cycles. “Bicycles have the highest growth rate of all means of transportation in Germany and worldwide. With 16 billion annual turnover and 280,000 jobs, the German bicycle industry and related sectors have reached an economic significance that is not adequately represented by political support,” summarized Heiko Müller, CEO of Riese & Müller. 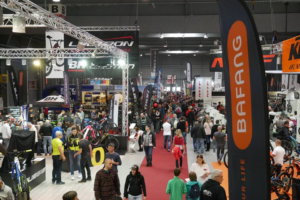 Associations, industry and trade called for a stronger commitment from the government in terms of financial investment and pro-bike campaigns. The good news is that political circles are well aware that the bicycle can solve many problems. 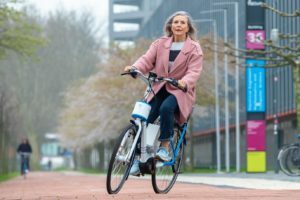 Angela Merkel has clearly demonstrated this awareness by visiting Eurobike last year and calling Germany not only a car nation but also a bicycle nation. The bike industry now wants to see more action, a signal of political commitment to give more room to the bicycle. Vivavelo 2014 kicked off on Monday 12 May 2014 with a guided bicycle tour through Berlin’s government district. The congress participants joined the well-guided and entertaining tour on (electric) bikes provided by Biketec, Winora, VSF-Fahrradmanufaktur and Riese&Müller. In the evening a buffet and live-band invited to stay, enjoy and network. As part of the evening program, the VSF ethic price was awarded to Flyer manufacturer Biketec from Switzerland for the company’s achievements in social commitment and ecological efforts.